Mar 19, 2019 | What Am I Reading? 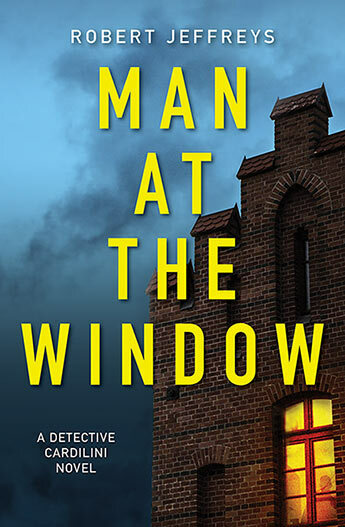 Man at the Window (Echo 2018) is the first novel in a planned crime series featuring Detective Cardilini, by author Robert Jeffreys. The story is set in the 1960’s, in a posh Perth private boarding school for boys, where a boarding master is shot dead. Detective Cardilini – grieving his wife, usually drunk, and a poor parent to his son, Paul – investigates the ‘accident.’ But he believes it is murder and follows his instincts to discover dark secrets about the school and the ‘old-boy’ network of wealthy and influential people that support it. All is not as it seems, and he must make choices about how far he is prepared to go to uncover the truth, and who will be hurt in the process. Cardilini is the archetypal cop – alcohol problem, disintegrating family, difficulties with authority, trouble with relationships, goes against the establishment. The story is lifted by the inclusion of a separate narrative thread concerning one of the boys, which offers glimpses of insight. Jeffreys has a wry sense of humour and this shines in Cardilini’s sardonic and dry wit. This is a solid, basic crime story, and the set-up of the main character is done to pave the way for future books in the series. This book will probably appeal to readers of authors such as Garry Disher.